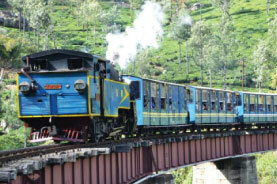 Ooty Holiday Packages Best of Europe!! Curated especially for you!! Visit to Dodabetta peak and Rose garden. Doddabetta is the highest mountain in the Nilgiri Hills at 2,637 metres. There is a reserved forest area around the peak. 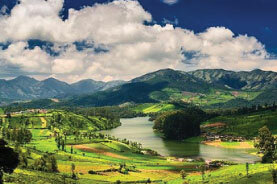 It is 9 km from Ooty, on the Ooty-Kotagiri Road in the Nilgiris district of Tamil Nadu, India. Visit to Ooty Lake & Botanical Gardens. The Government Botanical Garden is a botanical garden in Udhagamandalam, near Coimbatore, Tamil Nadu state, India laid out in 1848. 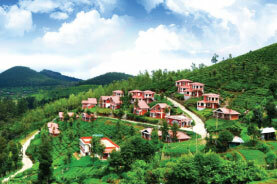 Popularly referred to as Ooty, this gem among southern hill resorts is covered in eucalyptus and pine trees and coffee and tea plantations. On a clear day, it's possible to see as far as the Mysore plateau from Dodabetta Peak, the district's most prominent viewpoint. The Stone House, a landmark 1822 bungalow, and St. Stephen's Church are remnants of the area's first British settlement. Also noteworthy: formal botanical gardens, a children's mini-garden and a contemporary art collection. 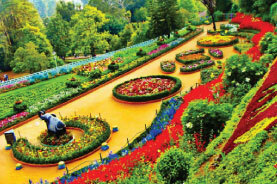 Visit to Dodabetta peak, Rose garden, Botanical Gardens & Ooty Lake.